The Royal College of Ophthalmologists (RCOphth) has last week published findings of the Workforce Census 2016 report that looks at the current clinical resource within hospital eye departments in the UK. The report encapsulates data from 75 per cent of the UK’s hospital eye clinics. With an ageing population and new treatments available to NHS patients, the pressure on eye clinics has increased rapidly over the last seven years. In addition, research undertaken by the Way Forward Project looking at prevalence of disease and population projections suggests an increase in demand over the next 10 years of 25 per cent for cataract services, of 30 per cent for medical retina services and of 22 per cent for glaucoma services. Presently, there are 1,306 consultant ophthalmologist posts in the UK and this increase in demand will require an increase in consultant numbers of at least 326 over the next 10 years. Indeed, over 90 per cent of eye departments estimate that they require between one and five additional consultant ophthalmologists over the next two years. The RCOphth continues to lobby for additional training numbers (there have been many more applicants than available posts since run through training commenced in 2012), but the current government position is to freeze the number of training posts for the next ten years. 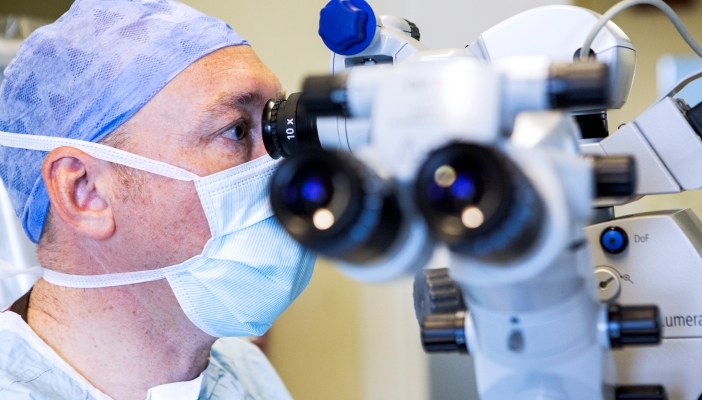 With almost a quarter of ophthalmologists over the age of 55 and nearing retirement age, appropriate measures should be planned to provide for the next generation of eye doctors.